Highly recommend Dr. Leonetti and his staff. They are all very friendly and professional. Would definitely recommend to others. I did not realize that from what I could see, the office is not handicapped accessible. Aside from that it wasa great visit and first time. The staff was uncommonly friendly and professional. My hygienist Merina was superb. Thorough, gentle and kind. Very knowledgeable. I did not realize that from what I could see, the office is not handicapped accessible. Aside from that it was a great visit and first time. The staff was uncommonlyfriendly and professional. My hygienist Merina was superb. Thorough, gentle and kind. Very knowledgeable. Dr. Leonetti enhanced his skills with a focus on cosmetic and implant dentistry at Mount Sinai. He also gained proficiency in the management of special needs, medically compromised, geriatric, and pediatric patients. 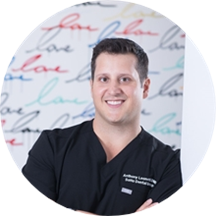 He performs all phases of general dentistry including cosmetic dentistry, Invisalign, root canal therapy, gum surgery, and implant dentistry.He is passionate about improving his patients’ oral health and providing them with quality treatment. In his free time, Dr. Leonetti enjoys golfing, skiing, and cooking. Anthony is a very nice guy. He was very quick and effective filling my cavities. The location of his office very convenient too, although the operation could come across a little cleaner and professional. Great experience from the start! Took me right on time, excellent hygienist and super friendly, took the time to talk me through my X-rays and explain what was going on. Dentist was the same. Got a great goodbye kit with supplies as well. Will come again! Both the dentist and his assistants were polite, friendly and professional - while still being personable. They also gave me suggestions on how to straighten and whiten my teeth, but without being pushy on the sales pitch. I am from out of town and when I showed up for a cleaning the office tried to push on me a lot of dental work (8 cavities and a root canal) when i had no pain or no evident problems.Then went to get a second opinion to my trusted dentist and only found a cavity another minor tiny cavity. The Dr. gave me a consultation that was focused on solving my core problem after I received a consultation from another firm that was inadequate. I appreciated his thorough approach! The wait was extremely short, The hygenist and the dentist were both friendly and quick as well. In and out in 30 minutes tops. Painless. I have been looking for a good trustworthy dentist in NYC since I moved here in 2009. I can now finally say that my search is over.!!! Dr. Leonetti is flat out fantastic. He makes you feel very comfortable in hischair and explains everything about the procedure clearly. A trip to the dentist for most people is not a pleasant experience, but I must say that everything from the moment I arrived ( very easy to get to by subway) till I walked out, was easily the most enjoyable dentist experience that I have ever had. I highly recommend going to Dr. Leonetti and am actually looking forward to my next visit. Very competent and skillful dentist. Very professional, but personable also. They are very nice dentists. I'd recommend them.